Trumbull Pharmacy will serve you at extended hours. We even have a drive-thru window facility so you won’t have to line up at the pharmacy. We keep our wait times short by preparing your orders ahead of time. Prescription assistance – our friendly pharmacists are always on stand-by to better explain to you the prescription you’ve been given by your doctor. Free consultation – for your mild medical concerns, trust our expert pharmacists to recommend the best products that will alleviate your condition. 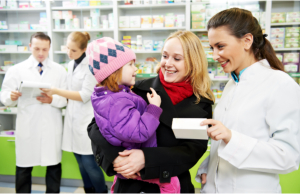 Refills and auto-refills – never miss a medication again due to availability issues; we will provide you with what you need even before you realize that you need them. Free delivery – get the medicine and supplies that you need without leaving home. Special packaging – we help you take your medications on time and at the right dosage! Compounding – specially prepared medications with a specific dosage, intake form and preferred flavor.